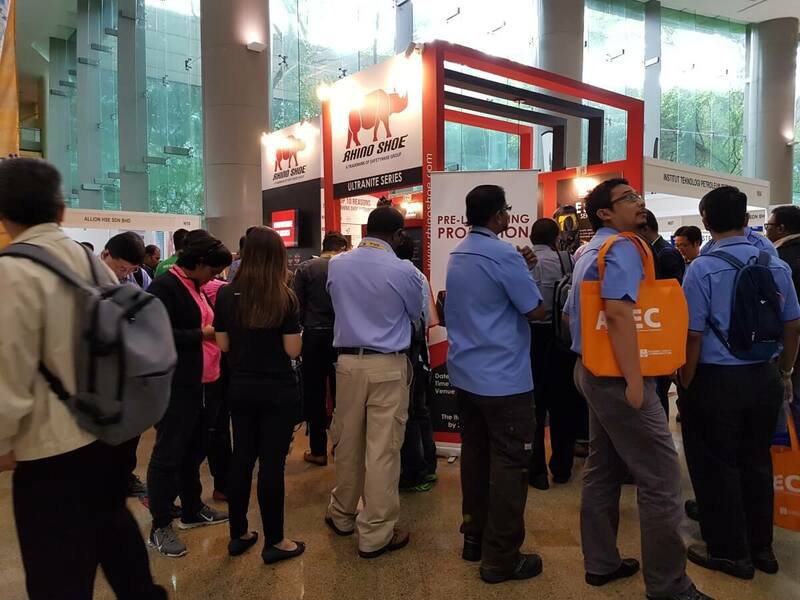 September 2017, Putrajaya – The 20th Conference and Exhibition on Occupational Safety and Health(COSH) was held in Putrajaya International Convention Center on 18th & 19th September 2017. 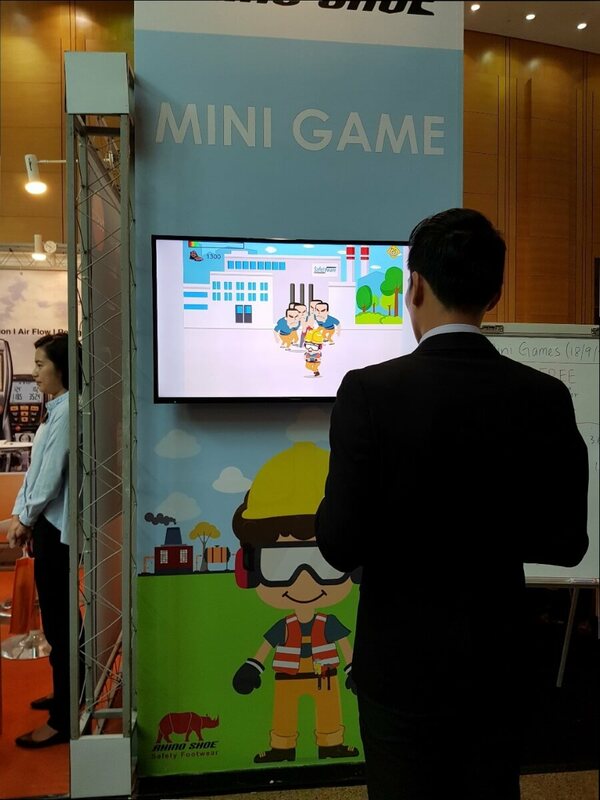 During this 2 days, it sucessfully attracted around 1,200 participants to take part in this conference and exhibition. 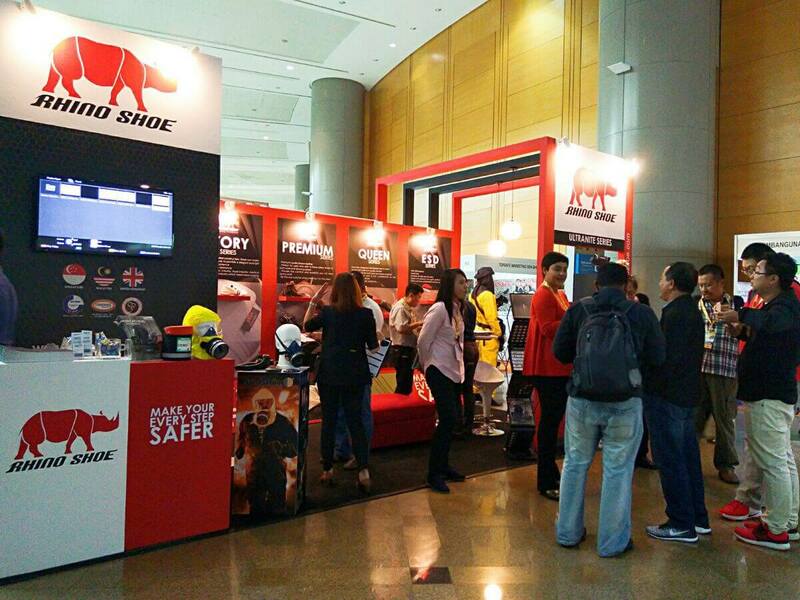 RHINO SHOE was one of the exhibitor as we display our latest series of safety shoes and also had a soft-launching event for the new RHINO SHOE. 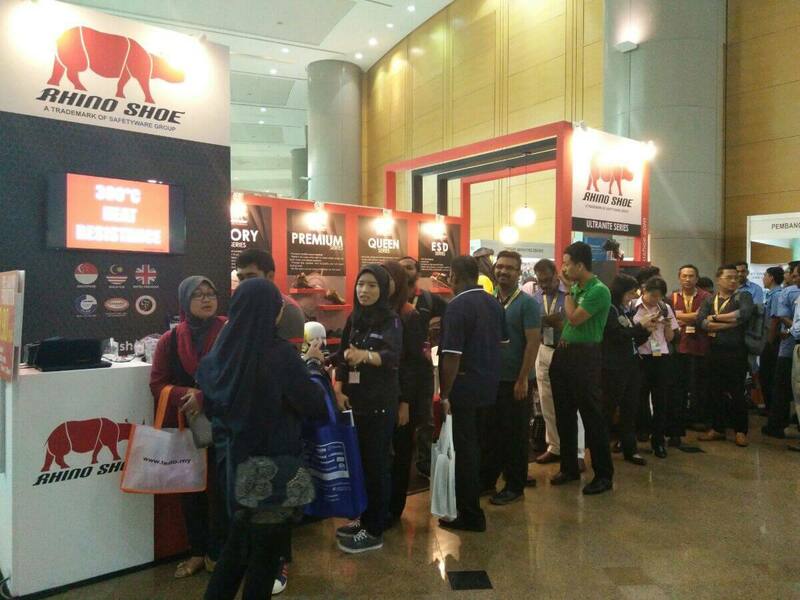 There are a total of 14 different models of safety shoes being displayed there. 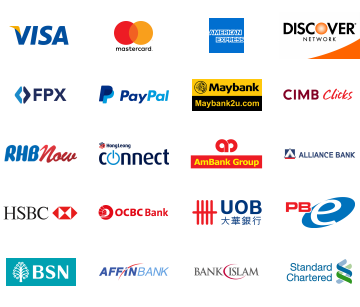 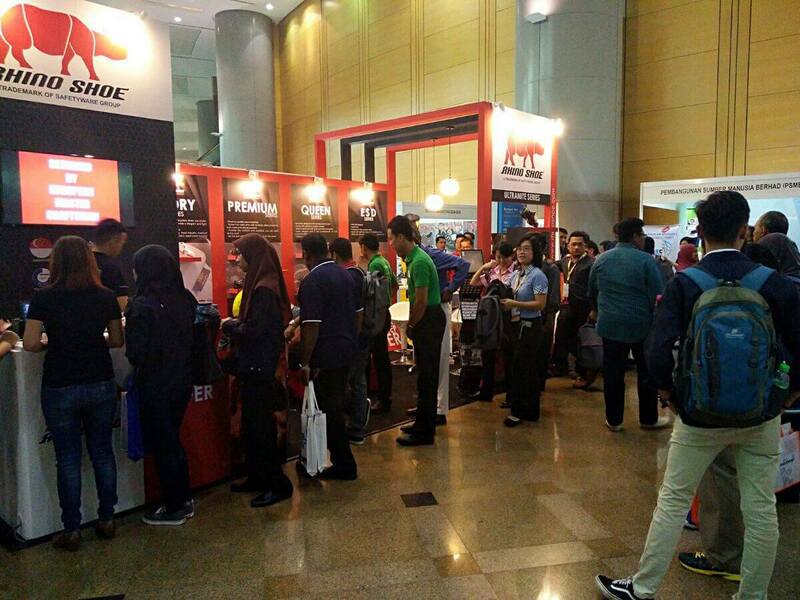 There are a lot of enquiries throughout this 2 days exhibition. 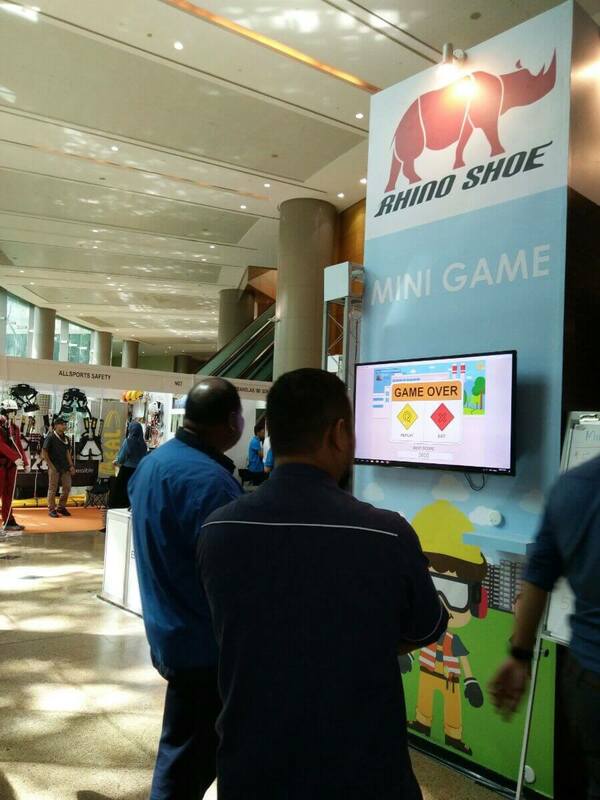 A Gaming Corner was set in our booth which participants have a chance to win a pair of Free RHINO SHOE. 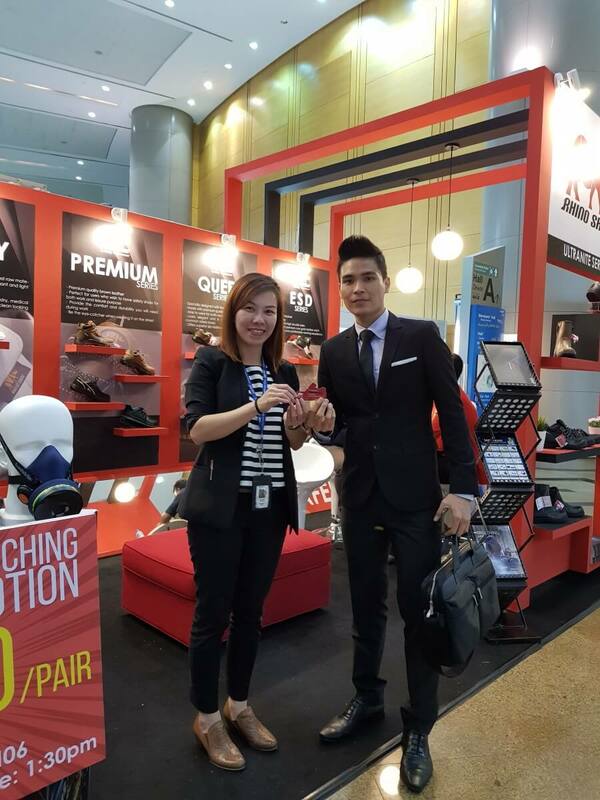 Besides that, there is a special Pre-Launching Promotion which visitors get to buy a pair of RHINO SHOE Ultranite Series Safety Shoes at RM9.90 only with 50 pairs limited. 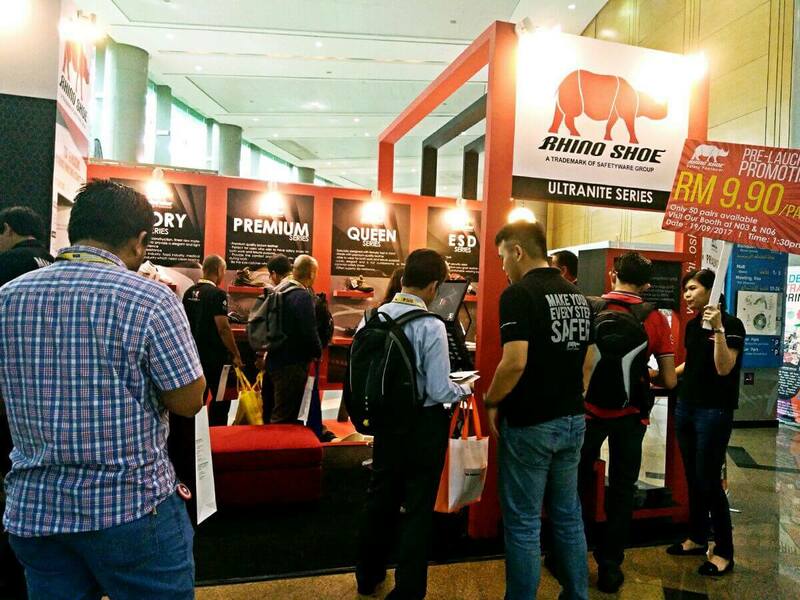 It successfully attracted a large crowd to visit our booth for our new safety shoes. 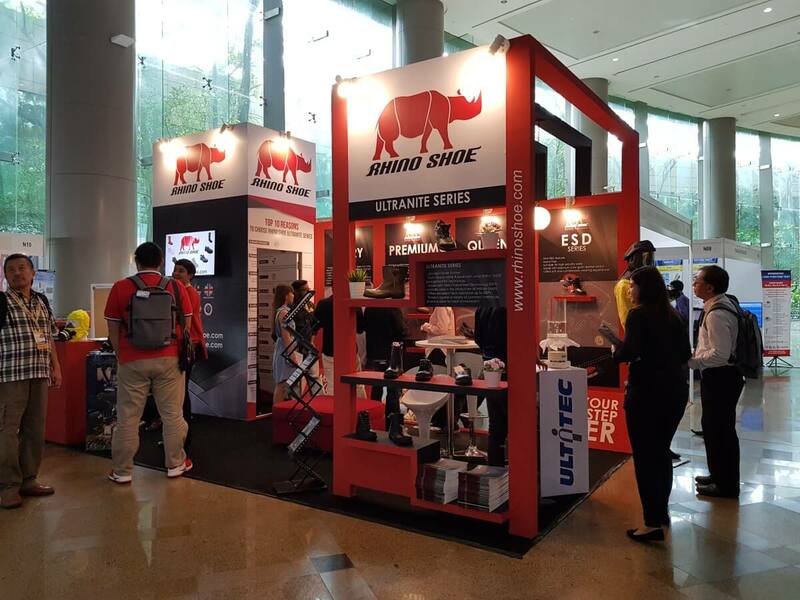 The new RHINO SHOE will be officially launch in October. 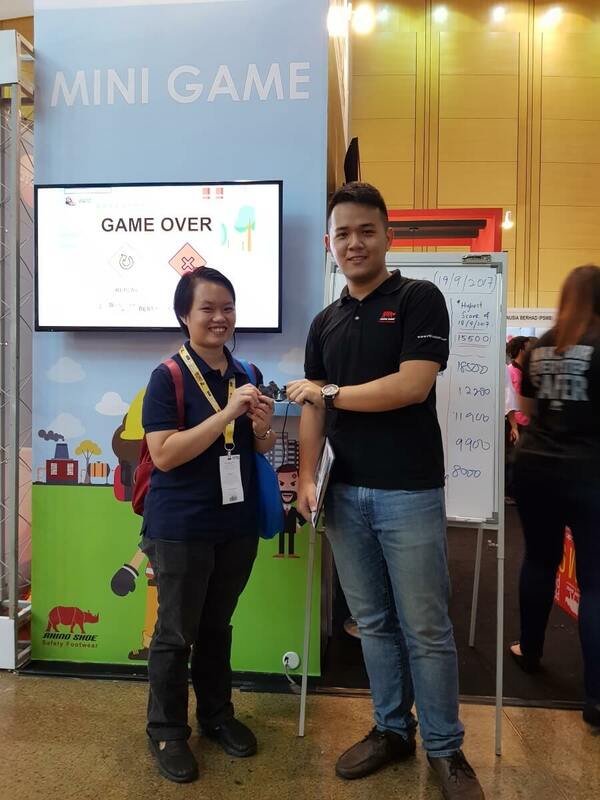 We hope to make your every step safer!